Each slide is checked for dust and cleanliness. Compressed air cleaning is used when necessary. We use digital scanning equipment to capture your slides and photos. Slide scans are color corrected when necessary then archived on long lasting CDs or DVDs for your enjoyment. 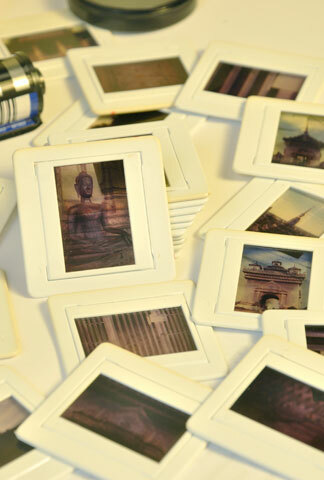 High resolution scans of your photos are professionally done on state-of-the-art photo scanners. Your carefully inspected images are then archived to CD or DVD. We can also create powerful slideshows with music from your slides or photos. You pick the images and music, then we create a slideshow that can be played on any DVD player or most computers. We also transfer PowerPoint presentations to DVD. Please call for details.